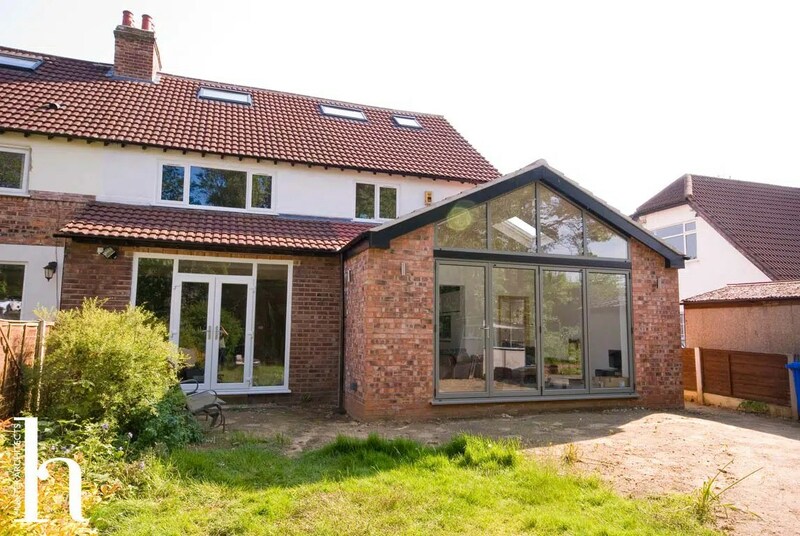 A significant remodel and extension of a traditional family semi-detached home to create contemporary, ground floor open plan living and additional bedroom, with dressing room within the loft space. The house required a full programme of renovation and modernisation and our brief was to rationalise the layout while maximising the potential for the site, better links to the garden and the creation of a dramatic family living room which was to be the heart of the house. 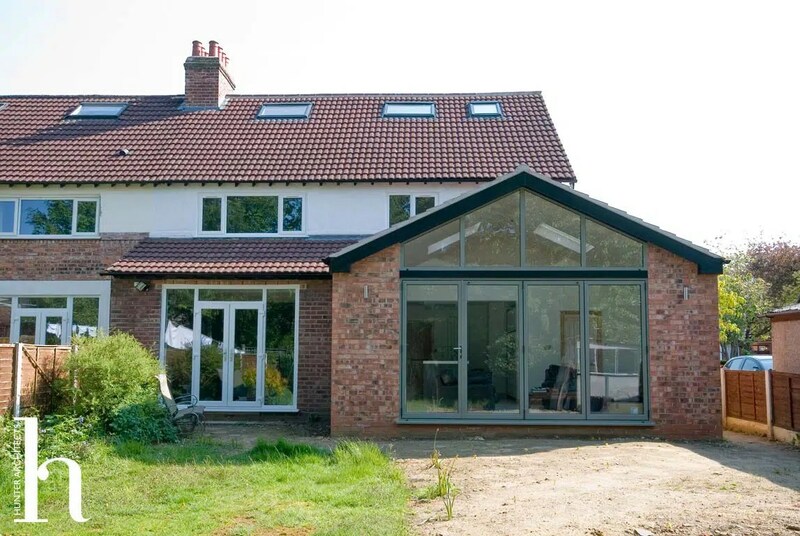 A new family room was created, with supporting utility room and WC to the rear of the property, with an internal link to the existing dining room. 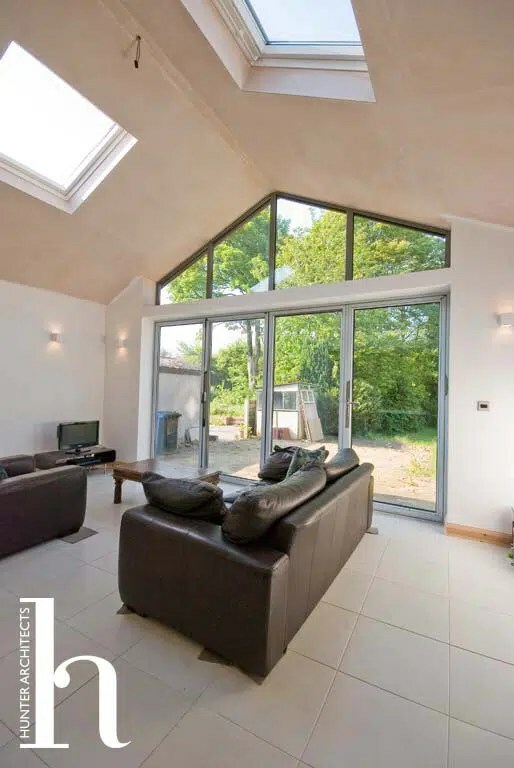 The decision was made to locate the kitchen within the existing room, which while a darker space allowed the living space to benefit from a vaulted ceiling and better links to the garden. 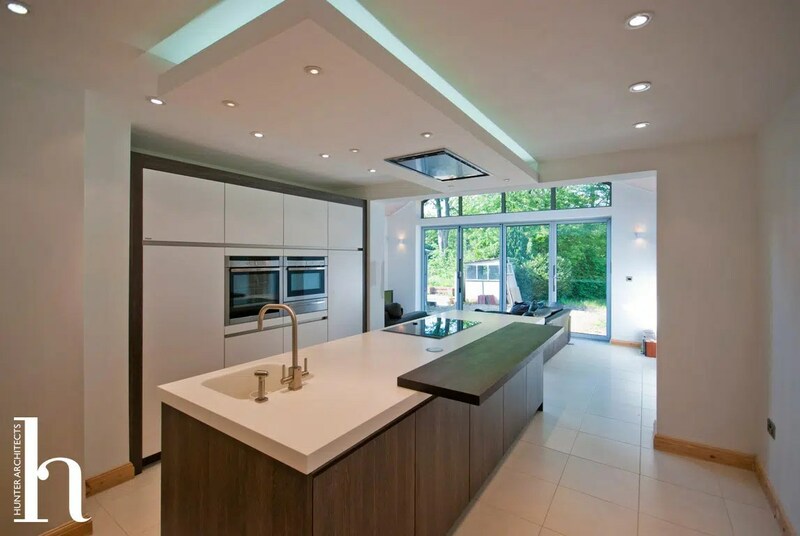 The layout and artificial lighting of the kitchen became essential. 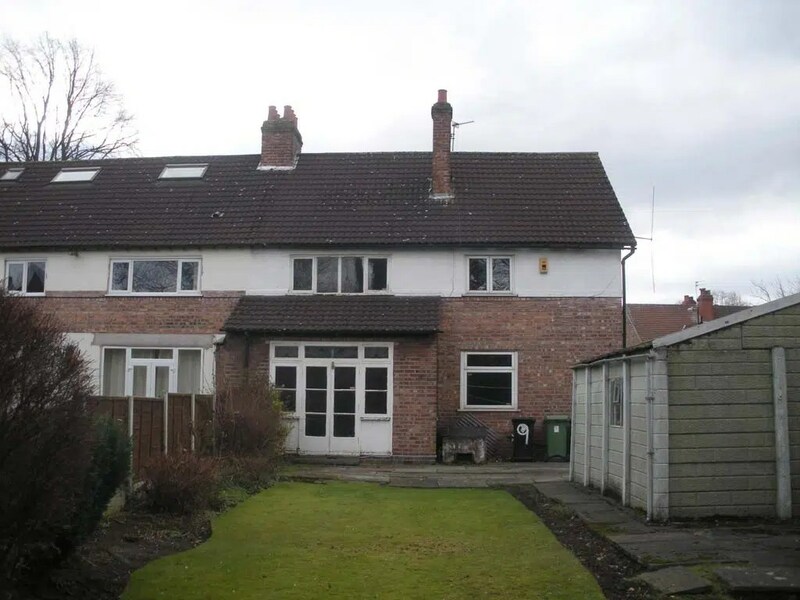 Features: Kitchen extension; refurbishment of existing house, better links to garden, glazed roof lights. Contemporary design. Garden Room.